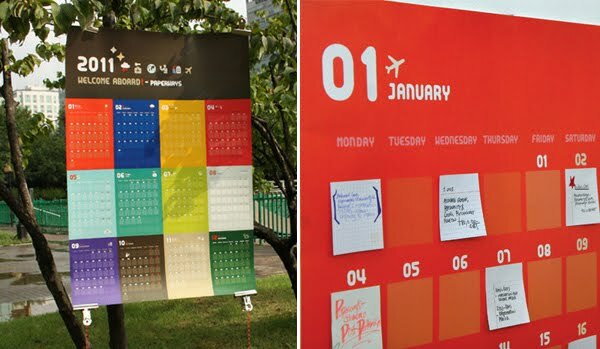 1: The Paperways Calendar Poster above is genius, I dig the idea of using post-it notes, how awesome is that?! You can move around things or post up a new idea/event very easily. 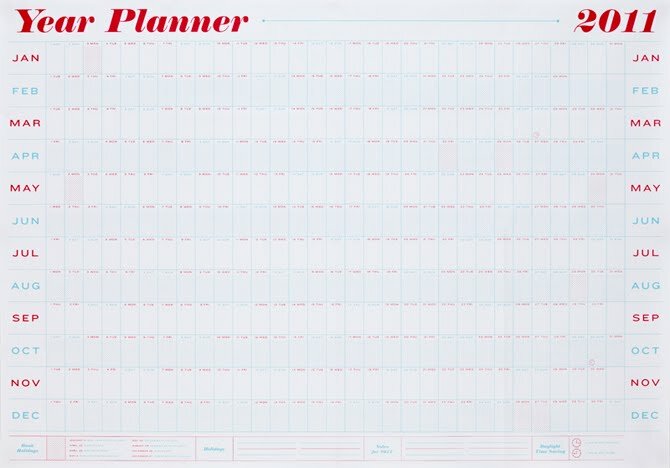 This embossed and screenprint 2011 Year Planner from Crispin Finn is another nice option to see everything at one glance. i LOVE that year planner! some great picks for the year! I have that Crispin Finn planner... it's my favorite one ever! Ah oui, the Control Freak in me wishes I could have a calendar in every room - there are so many cool options, it's hard to choose just one each year (without giving away my Type A tendencies!)! Oooooo love stationary you have just fed my addiction! !